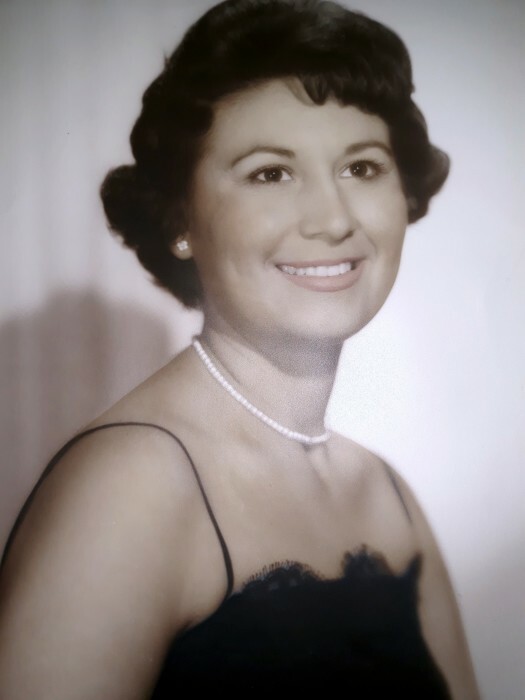 Mary B. Barrera, age 78, passed away on Wednesday, February 6, 2019 in Corpus Christi, Texas. Mary “Bea” was born on June 30, 1940 in Corpus Christi, Texas. She loved to crochet, and had daily devotion to the rosary, was good with crafts and made beautiful flower arrangements. She had a green thumb anything she made was beautiful. Mary is preceded in death by her daughter, Maria Amanda Barrera, parents Antonio & Isabel Sanchez, sister Alicia Sanchez and her mother-in-law Santos Saenz. She is survived by her husband of 54 years, Ernest C. Barrera; her children Ernest Christopher Barrera (Suzette), Edmund C. Barrera (Mayra), Leticia Aleman (Desi), Christina McCully (Jeff), Jacob Simon Barrera (Lori), Joseph Anthony Barrera (Angelica); grandchildren Cameron, Timothy, Amanda, John, Andrea, Edmund, Daniel, Ashley, Andrew, Autumn, Samuel; great grandson Ace; her siblings Antonio Sanchez, Delia Villarreal, Cynthia Gonzalez; numerous nieces and nephews. A Funeral Mass will be celebrated at 1:00 pm Saturday, February 16, 2019 at Holy Family Catholic Church.